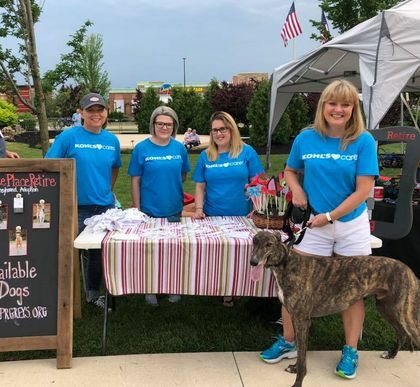 Our foster program is the backbone of our organization. If you have the patience to help a new arrival adjust to a home setting we'd love your help. 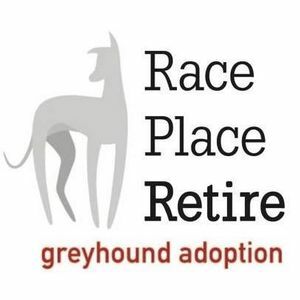 Race Place Retire Greyhound Adoption, Inc. is dedicated to finding suitable homes for retired racing greyhounds while educating the community on the breed. 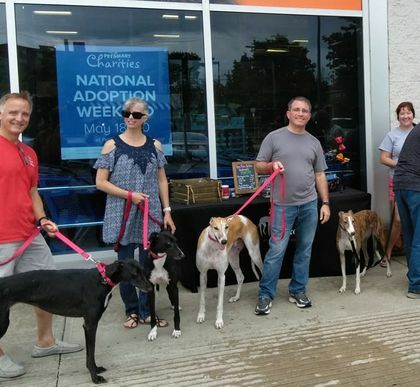 Come meet Jasper and Cuckoo, and mingle with other greys 🐾 and their owners, too! DSL...Berry....Zeus spent some time with me, Roger Mason and Foster mom Jill Chernosky Pratt. 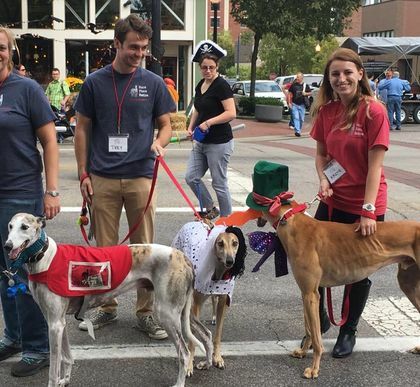 I want to personally thank Bluegrass Greyhound Adoption for sharing him with us. He was one of my favorites and almost became a Mason!!!! 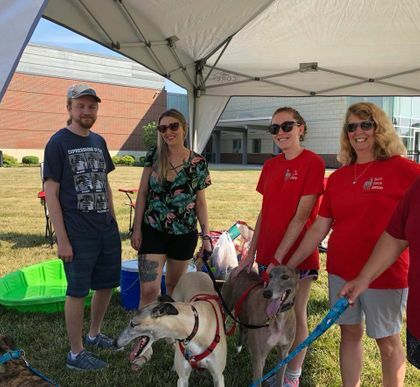 Welcome Keith, Kyle and Chloe and Happy Retirement Zeus! ❤️🐾❤️ I get to babysit him on June. Congratulations on your new addition and welcome to the RPR family!! Congrats to my boy!!! Be a good boy and enjoy the retirement life flat top!!! Miss u buddy!! Welcome Tarek and Tiffany...congrats to Winston! Ajax is such a sweet baby!!! Way to go Ajax, he must have had an awesome foster sister!